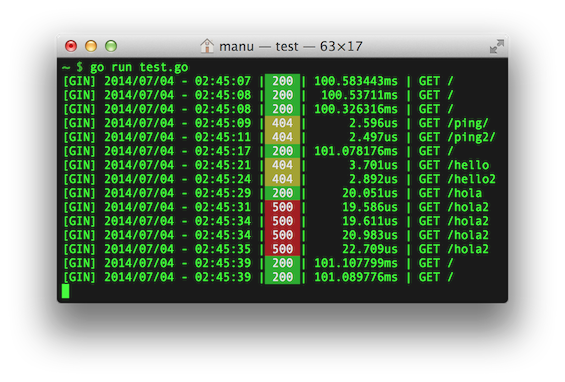 We will use gvm to install go for the current user. Note that we need to use go1.4 to compile go1.5 because go1.5 use go itself as compiler, therefore it need to have go installed. Note that gvm is mainly for development use, IMHO using tar install or docker is a better way for production server. However for development, it is important to have compile on files changed function. There is a package there for go. Note that do not start any app on proxy port that is used by gin (default 3000) and the application port. Running below code will autostart the go app. With this, we have successfully setup a simple golang rest api server. Golang is a promising solution to give both near C performance + dynamic language development speed + goroutine.